As most people do these days, I happened to login to my Gmail address this morning to check on some personal email. Therefore, it came as a surprise when I saw a new feature called “Gmail SMS” that I could sign into to send free texts to mobile numbers in Kenya. I did a double take and for sure this was indeed the case. 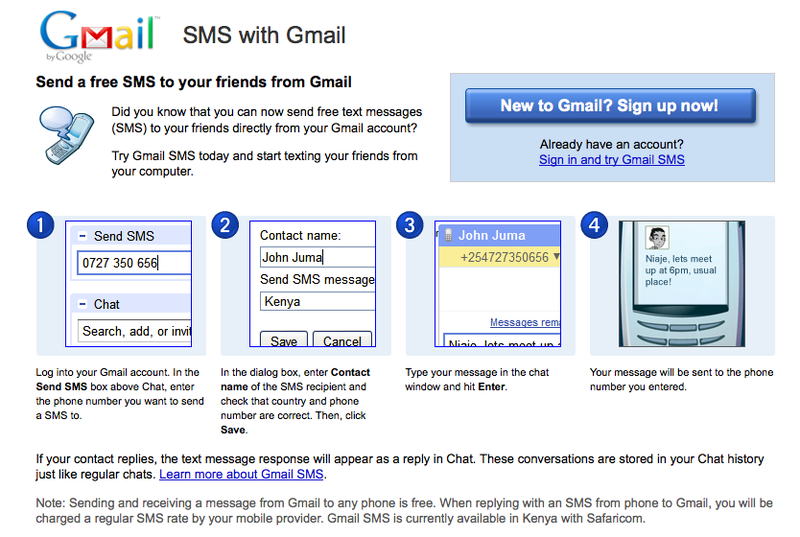 On closer inspection, what I noticed is that Gmail SMS has been customized specifically for the Kenyan market and the service at this juncture is only available for sending texts to Safaricom mobile numbers (this is a no brainer of course since Safaricom has close to 80% market share in Kenya). I have not actually used Gmail SMS (yet) but from what I can tell it clearly points to one of the reasons why Google made a significant investment in Mobile Planet a couple of years ago. Mobile Planet is one of the leading mobile value added services (VAS) providers for things such as such as short codes, bulk sms, ring tones, etc. The Mobile Planet and Google relationship means that the Gmail SMS service can be tightly integrated and seamless. The way the service works is that you are allocated up to 50 free texts when you sign-up for the service. Thereafter, everytime you send a text this number reduces. However, if a mobile subscriber responds to your text from Gmail SMS then you are gifted an additional 5 texts till you get back to the original quote of 50 texts. In a nutshell, what this means is that Gmail SMS users will be incentivized to use the service so that they can keep sending free texts in this manner – quite clever if you ask me. 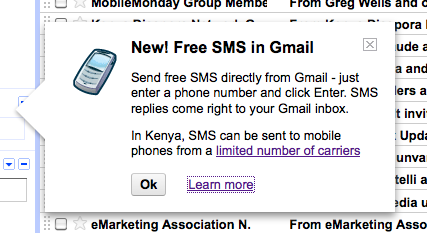 I can see lots of the youth in Kenya signing up for Gmail accounts in droves just to get the free texting service on their mobile web enabled handsets (Hint: Google must have a much larger agenda for their services in Kenya than just free texting for the masses). AccessKenya's free online traffic camera service. 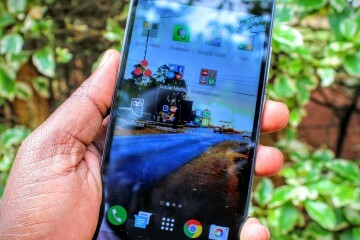 Nokia's N8 smartphone coming to Kenya soon. .-= Angela´s last blog ..Why Mobile is the Final Frontier =-. Not only does it work, but if you use it cleverly with Safaricom SMS bundles, you can send 490 SMS for only 20 shillings. That works out to about 4 cents per SMS! Hi, i’ve tried and its working well. Nice idea, though. This an innovative product. We are just waiting to see whether other networks will partner with Google.